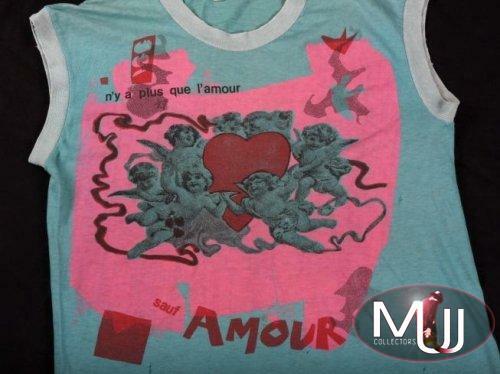 A 1980s designer sleeveless turquoise shirt with an image of cherubs surrounding a heart, with text reading text "n'y a plus que l'amour / sauf amour." 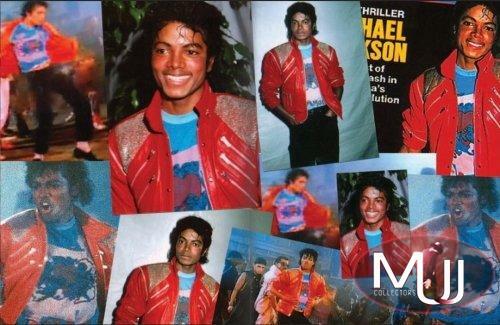 The shirt features quite prominently in Jackson's video for his third single from the Thriller album, "Beat It." Jackson was photographed frequently wearing the same shirt and red zipper jacket combination featured in the video at many public events during this era. 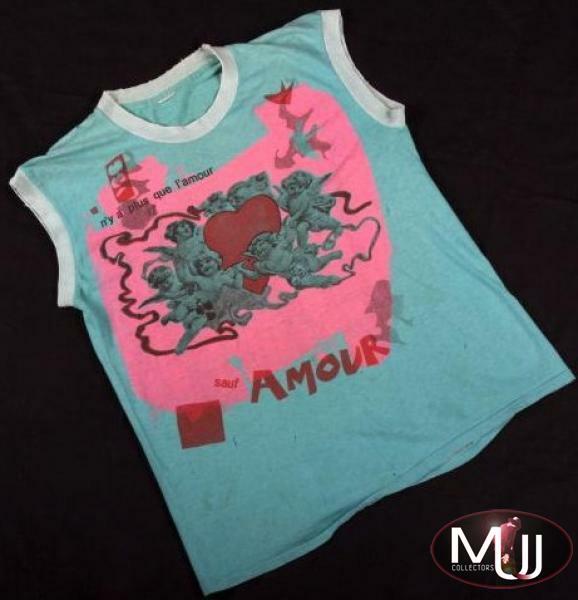 The shirt was given to Bradley Bennett whom Jackson had befriended. Bennett and Jackson met while attending services at the same Jehovah's Witness church. At the time of their meeting, in 1983, Bennett was eleven years old. He and Jackson became friends and Bennett visited Jackson at his home on more than one occasion. Jackson gifted this shirt to Bennett after the release of the video telling him that he wore it in the video. 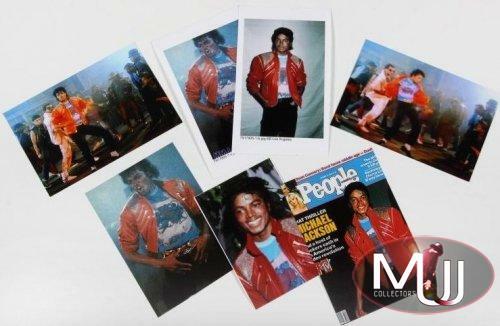 Although Jackson likely owned a few copies of this t-shirt as he wore it throughout the production of the 'Beat It' video, Jackson told Bennett that this was "the" shirt he wore during the video shoot. Included is a letter handwritten by Bradley Bennett outlining how he met and received this shirt from Jackson. Sold by Julien's Auctions (Lot #532) for $45,000 at their 2010 Music Icons auction. All screen captures are the property of their respective owners.